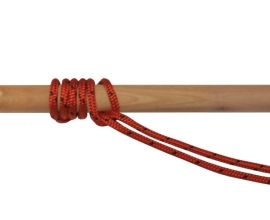 The Sink Stopper is a stopper knot, best used to prevent thinner ropes from slipping through bigger holes. 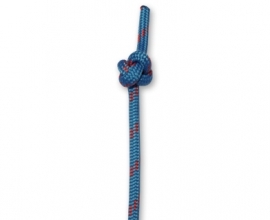 It is quite a voluminous knot, but be careful when dressing the knot that it doesn’t capsize. It has the tendency to loose it’s shape. 1. Create a crossing turn, crossing the working end on top of the standing end. Make a bight in your standing end and tuck it through the crossing turn, front to back. 3. 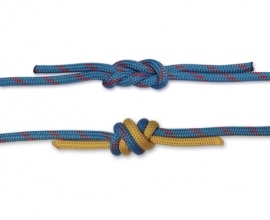 Move the working end to the right side of the knot so the working end and crossing turn lay parallel to each other. Tuck the working end through the loop, back to front. 4. 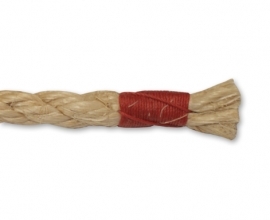 Dress the knot by holding the body of the knot in one hand while pulling on the standing end with the other.